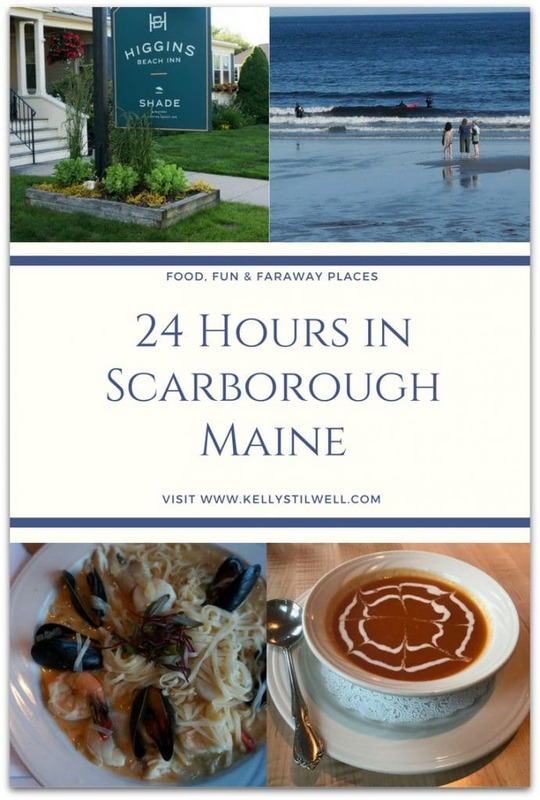 Chances are you haven’t heard of Scarborough Maine unless you’ve been to the area. To be honest, I had not heard of it before either. Having visited Maine only once, and that trip was about 24 hours in Portland, I only knew that we would be very close to the beach – always a good thing in my book. 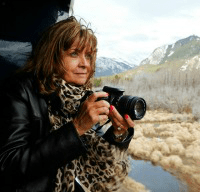 Of course, anytime you’re traveling, one of the most important pieces of your itinerary is where you will be laying your head at the end of the day. In fact, that was the first piece of this trip. My purpose for going to Maine was to sail on the J & E Rigging Maine Windjammer. As we would be setting sail early in the morning, we stayed in Rockland Maine near the small harbor where we would meet the ship. It was perfect, not only because the 250 Main Hotel is amazing, but the drive to park near the ship took us about 3 minutes. After experiencing 250 Main, I wish we had been able to stay longer. It really is a fabulous hotel and a fun area. After our sailing, we would be leaving out of the Portland airport, so wanted to spend the night closer to that area. 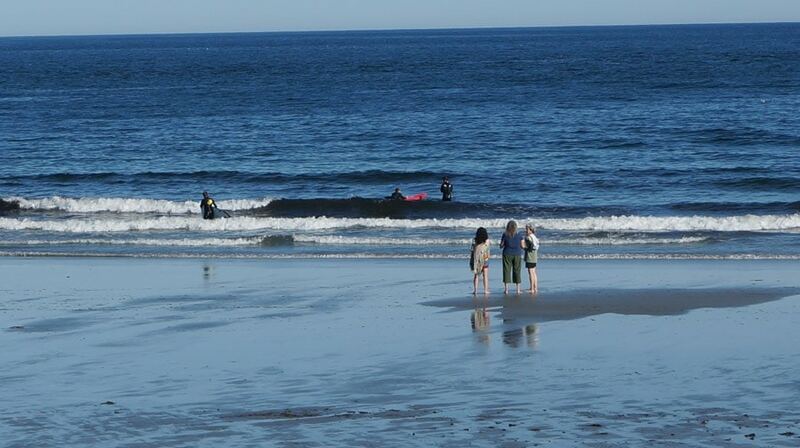 The Higgins Beach Inn is in Scarborough, just seven minutes from Portland, but you would never know it. This quaint little beach town is nothing like that bustling city. The Inn itself is a three-story colonial located in the quiet coastal Maine community of Scarborough. Though the website says it is oceanfront, it is not on the ocean, though it took us about 2 minutes to walk there. Regardless, it’s a wonderful hotel and I wish we had been able to spend at least one more night to be able to see more of the area. 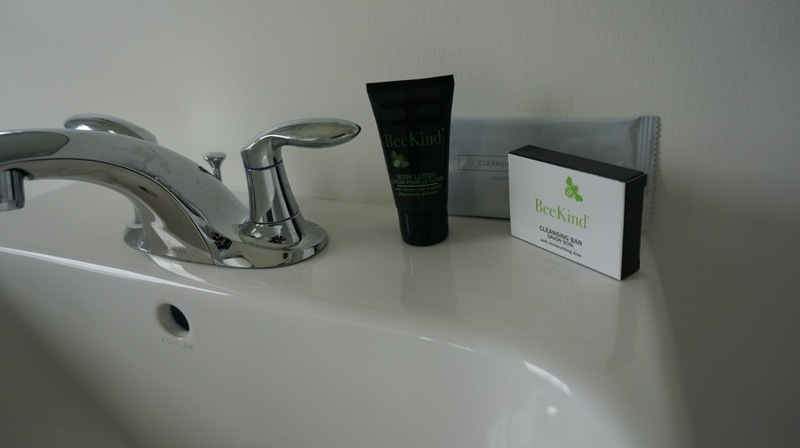 All of the guest rooms at the Higgins Beach Inn are equipped with a full bathtub, shower, high-speed wi-fi, climate control for air conditioning and heat, flat screen TVs, and upscale bath products. 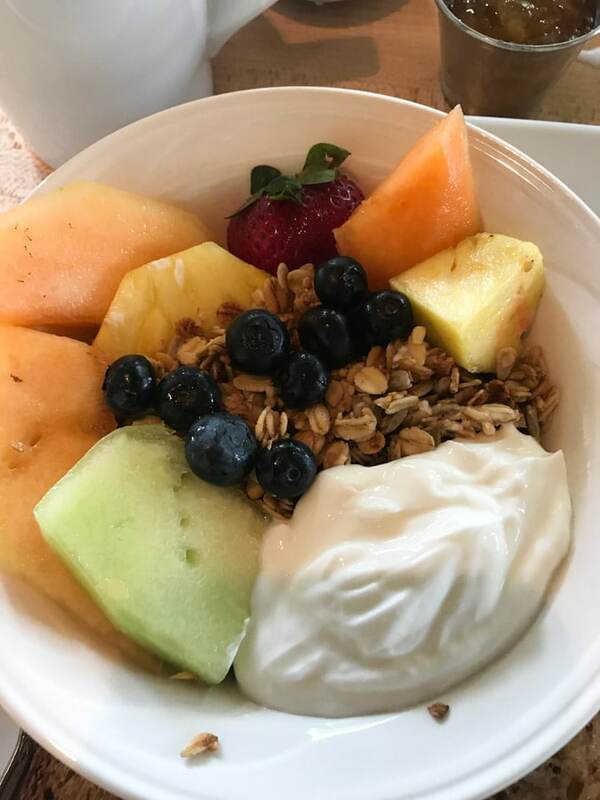 The Higgins Beach Inn offers you the charm and beauty of a small town Inn along with the amenities and features you love from nicer hotel brands. 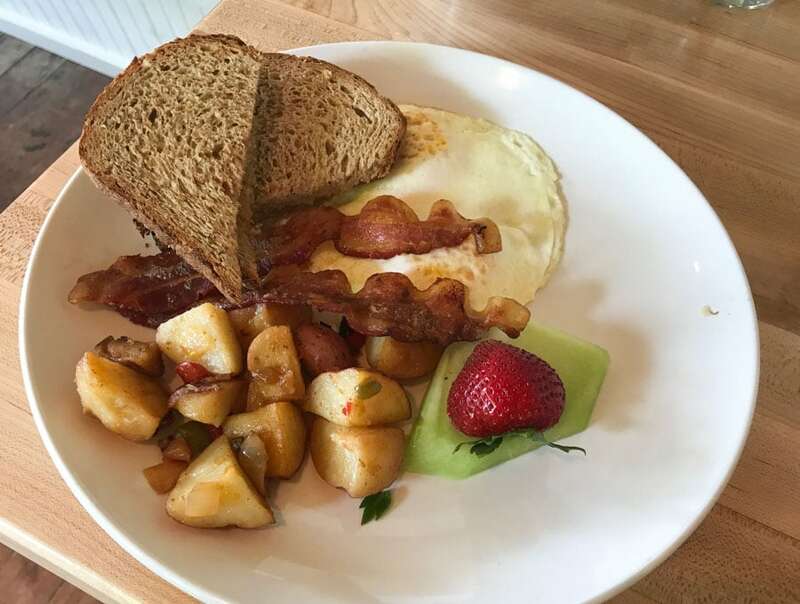 At the same time, the Inn has a homey feel to it, almost like a larger Bed and Breakfast. As we there with the whole family, our daughters had a room just down the hall. 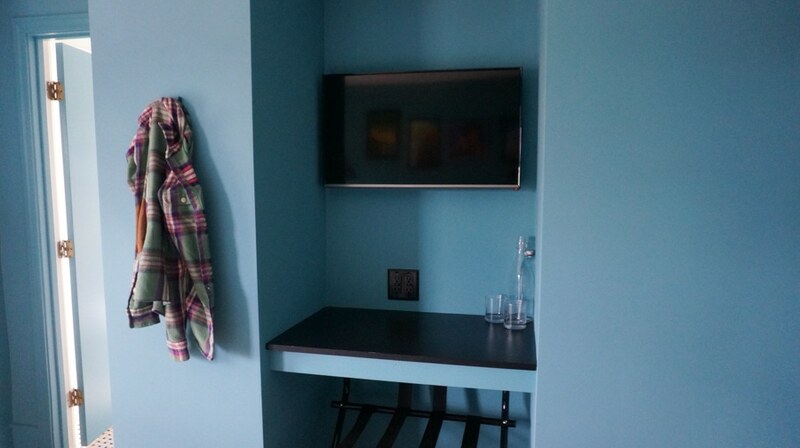 You’ll have a lot of choices of style, as well as one king, one queen, or two queen beds. 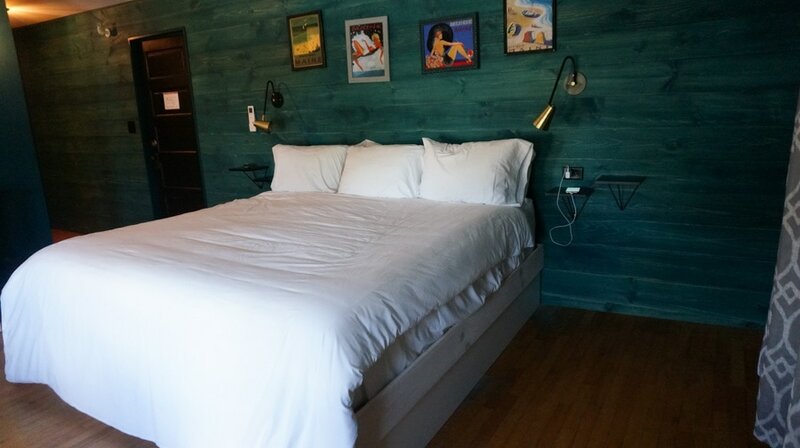 The beds were really comfortable, with luxurious sheets and comforters. The rooms had a colorful beach feel to them and were filled with light during the day. The wood floors gave the room a clean feel, too. 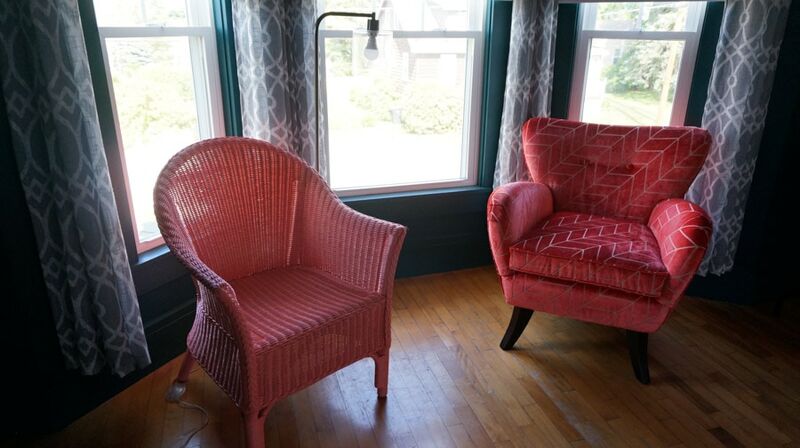 The Higgins Beach Inn has a little history, too. Ed Higgins was one of the sons of Hiram Higgins, the family patriarch who passed away in 1892. 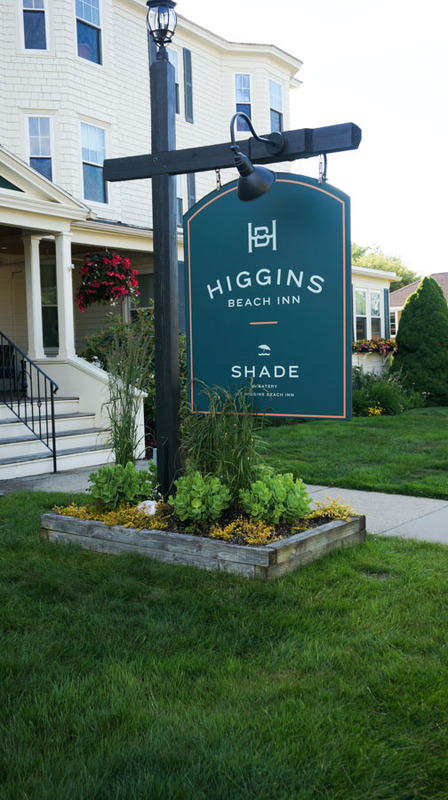 As more and more people were discovering Higgins Beach, Ed decided to try to capitalize on this vacation spot and built a large addition onto his home, which was the beginning of the Higgins Inn, later renamed the Higgins Beach Inn. The Inn changed hands several times over the years, and last year, Migis Hotel acquired stewardship. Migis Hotel also runs 250 Main as well as other luxury locations, so they know a little about running upscale properties. The Higgins Beach Inn gives you easy access to the beach and plenty of that amazing fresh air that blows in off the coast. Known for their hospitality, it’s a refreshing change that will likely have you longing to come back after your stay ends! 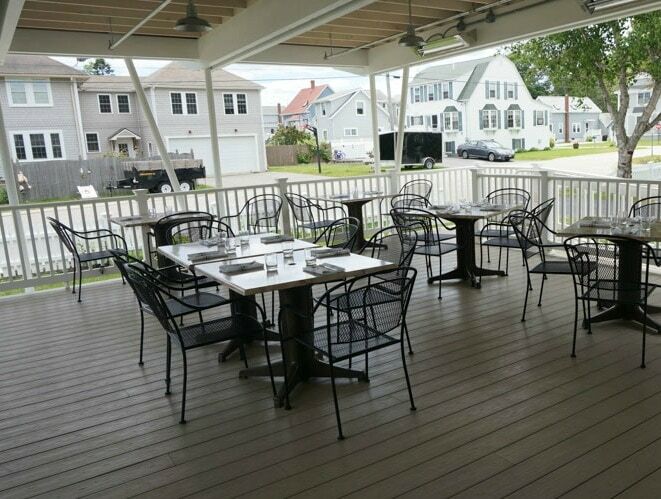 Breakfast, cocktails, appetizers, or dinner is served on the beautiful covered porch at Shade, the on-site restaurant featuring all the seasonally fresh seafood and lobster rolls you can eat. You’ll find seating indoors, as well. We had a couple of appetizers and cocktail in the afternoon and decided to come back for dinner later that evening. 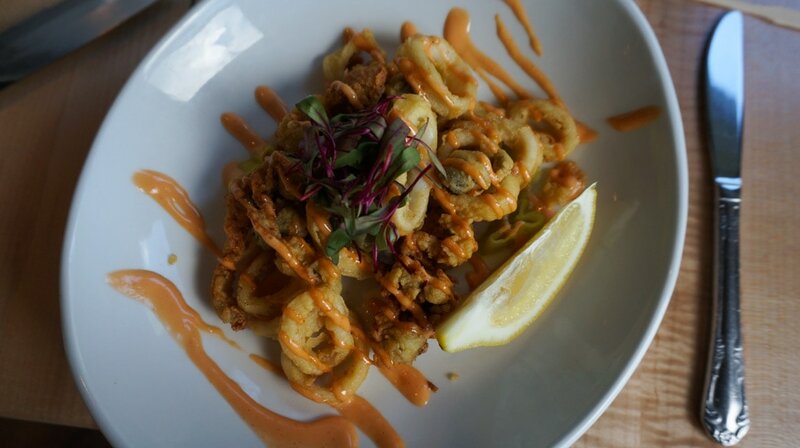 The calamari was delightful, just crispy and tender with a sauce that was just spicy enough. The tenderloin bruschetta was so tender and delicious, we thought about a second order, but as we planned to come back, we decided to wait. 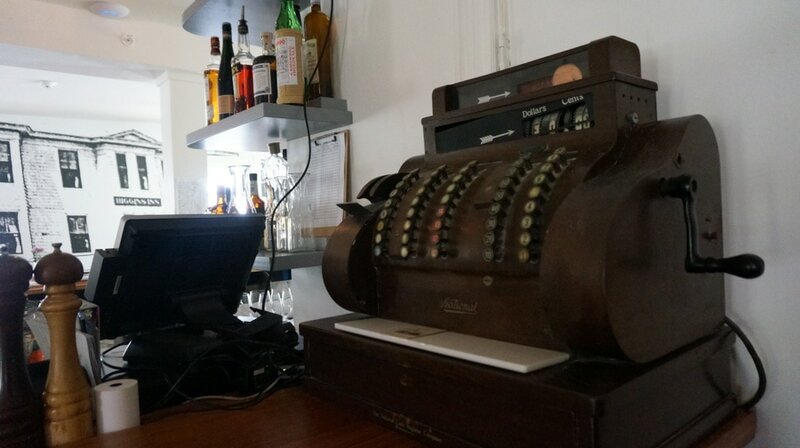 I wondered if this cash register was part of the history of the Inn. I wish I had asked what year it was dated. 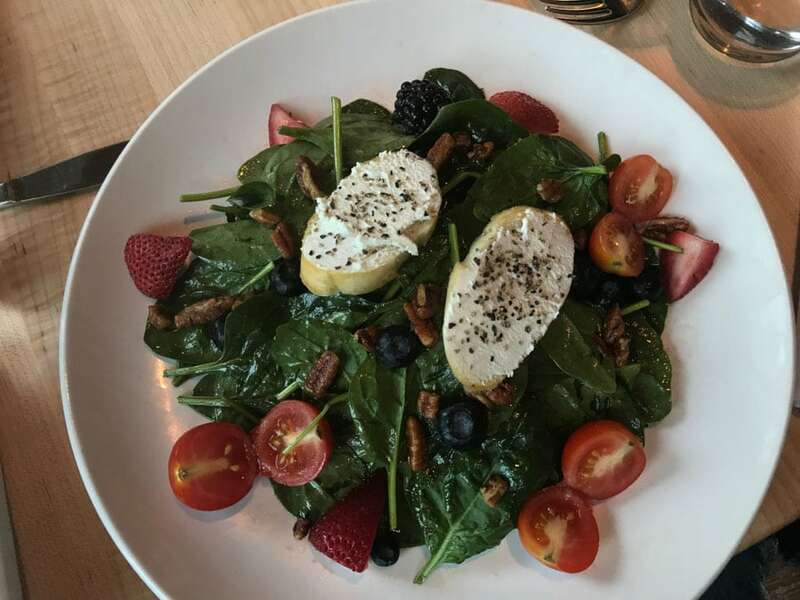 For dinner, we shared the Berry Spinach Salad, which was fantastic. 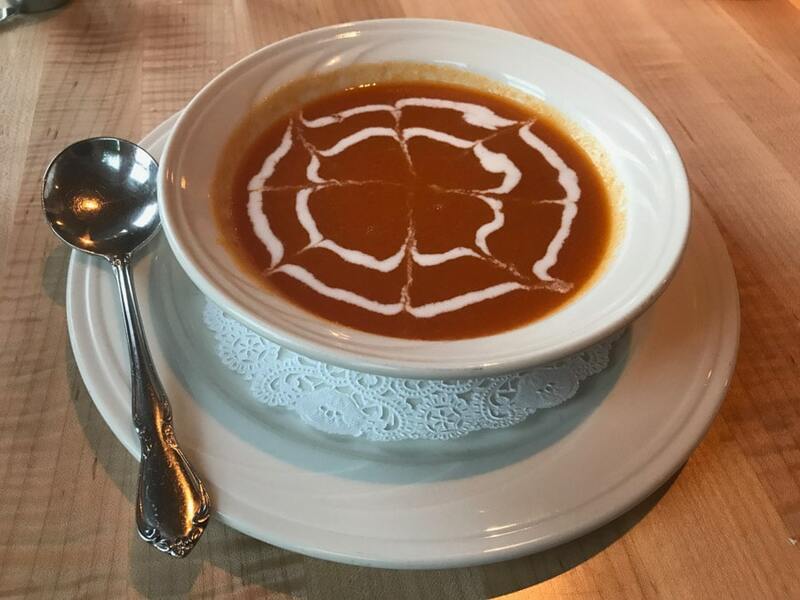 My daughter ordered the soup of the day, which was butternut squash, which she let me taste. Delicious and a pretty presentation. 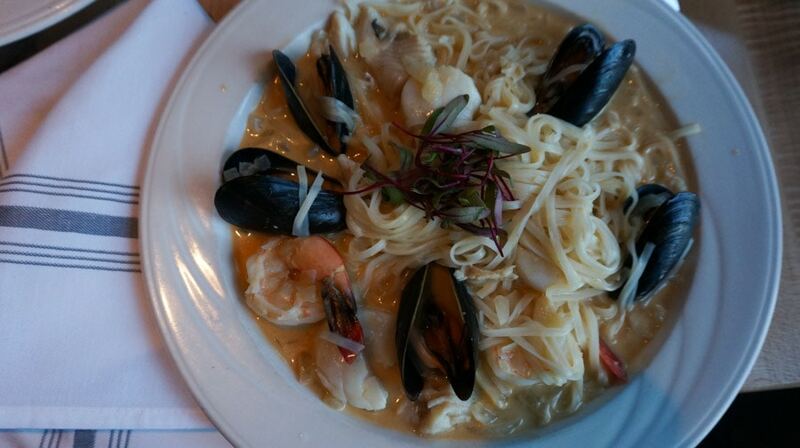 The Shellfish Stew was a combination of shrimp, scallops, fish, and mussels in a tasty coconut curry broth over rice noodles. 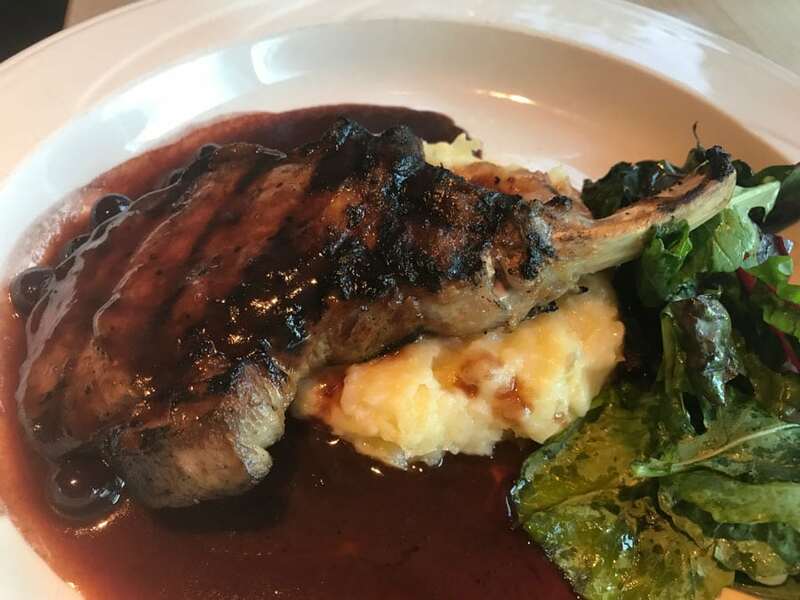 My husband ordered the Grilled Pork Chop with a blueberry glaze, served over mashed potatoes with spinach. My favorite choice was my daughter’s order, the Driftwood Cheeseburger. 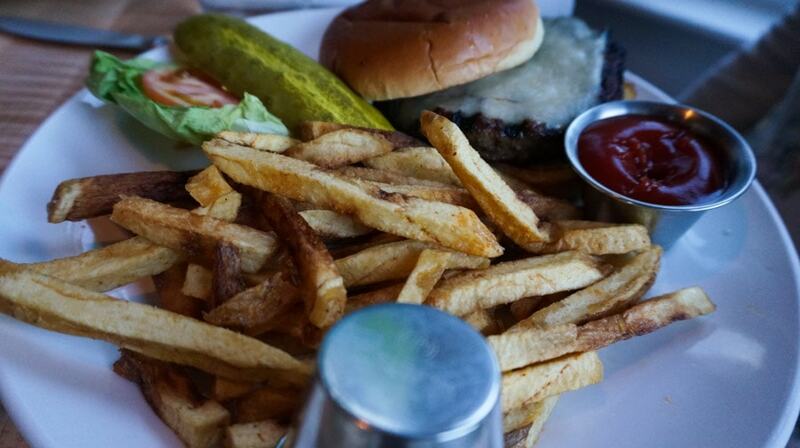 It was juicy and really flavorful, and the fries were delicious! 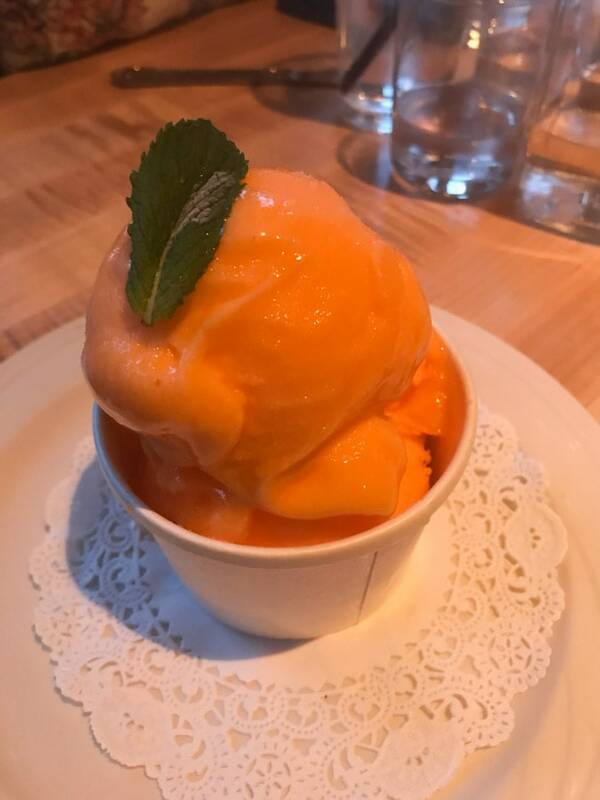 We didn’t plan on dessert, but if you know anything about my family, we almost always end up ordering it! 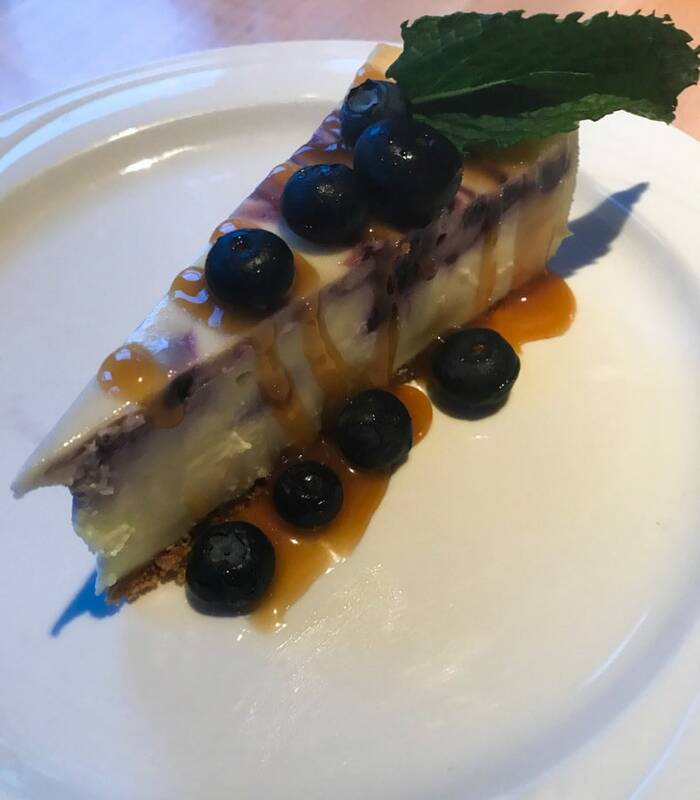 Tonight it was Blueberry Cheesecake and fresh Mango Sorbet. 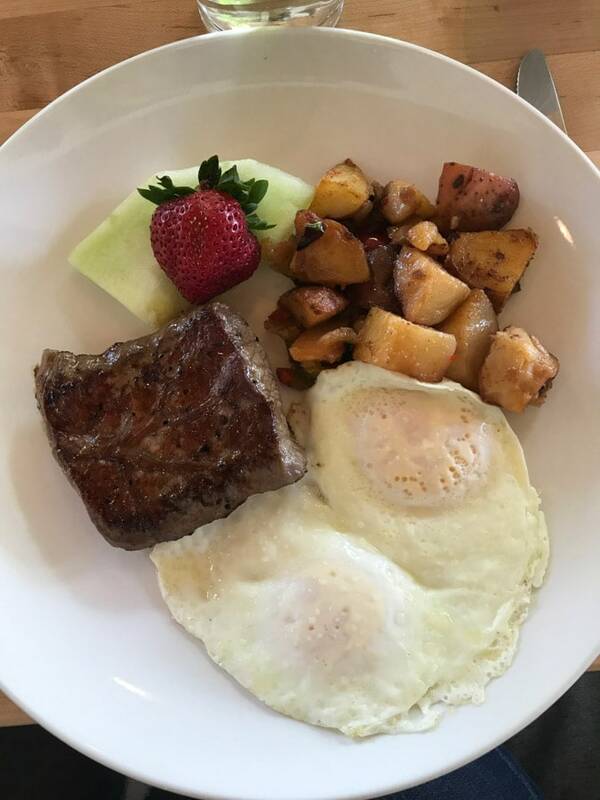 Breakfast is pretty amazing at the Inn, too, and we found a crowd when we headed downstairs to eat. I am usually the one who orders the healthy option. …as well as my husband’s. They both cleaned their plates, without any help from me, unfortunately! In the past decade, Portland Maine has exploded into one of the fastest growing areas for breweries, too. They now have nineteen microbreweries in Portland which makes it a beer-lovers paradise. If you have more than 24 hours, Portland’s “Old Port” district has a variety of quaint shops that sell jewelry, vintage clothing, local beers, fine wines, crafts, local artwork, and souvenirs. You can grab a bite to eat and do some fantastic shopping for one-of-a-kind gifts and products. 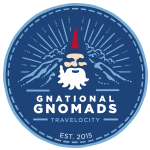 Another option if you have more time; check out the live music venues. There are several music venues in the area and if you enjoy catching a live performance while on vacation you should check out Thompson’s Point, State Theater, Port City Music Hall, and the Maine State Pier. They all host incredible artists and musicians for performances throughout the week and especially during the weekends. 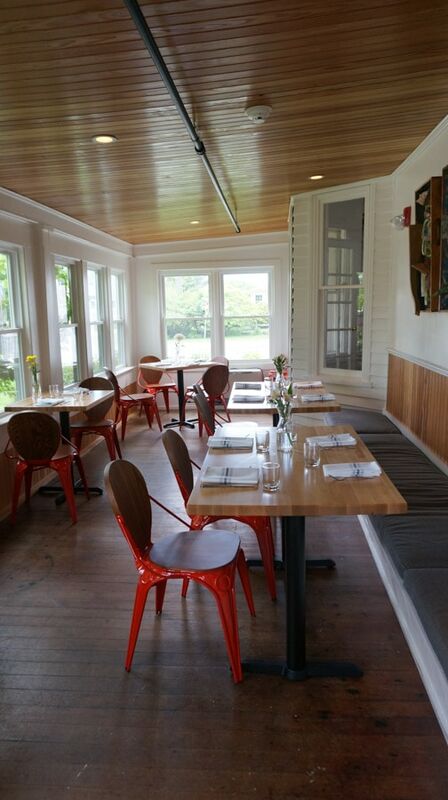 The Higgins Beach Inn also hosts larger parties and is a fabulous wedding venue. 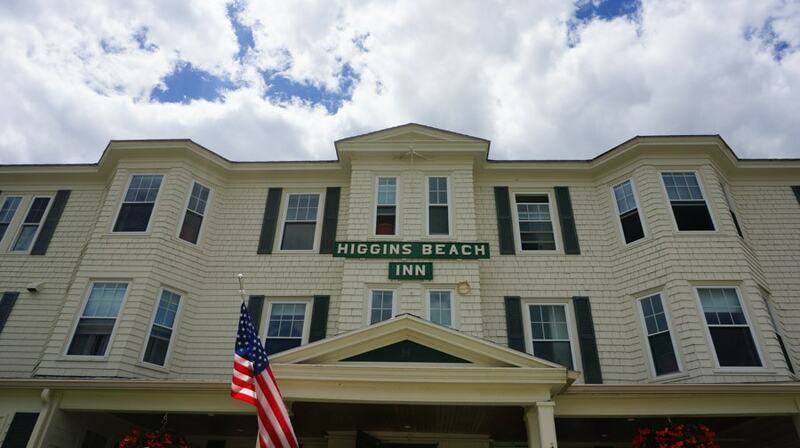 Check out the Higgins Beach Inn for more info on booking and events. The Higgins Beach Inn is located at 34 Ocean Avenue in Scarborough. 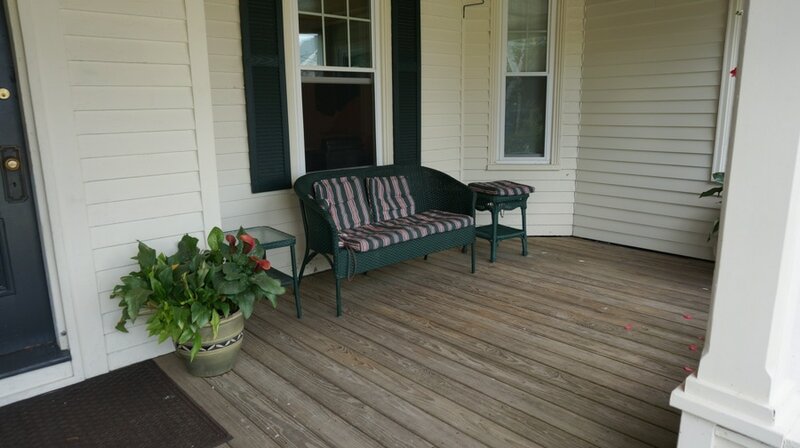 Book through their website or give them a call at (207) 883-6684 if you have questions. Many thanks to the Higgins Beach Inn for hosting me for this trip! I have always wanted to visit Maine. It sounds magical especially during the summertime! We are looking at summer camp on the east coast for our kids. I will pin your post in case we head out that way. We love Maine! We usually head to York Beach area, that’s a 2 hour drive. I know I want to experience more of Maine and so as long as I am near the ocean? I am happy so are the kids 😉 Scarborough Maine looks like a great place to visit. We spent a week in Maine this summer but didn’t make it there. Such a wonderful laid back place. Hope to return soon. 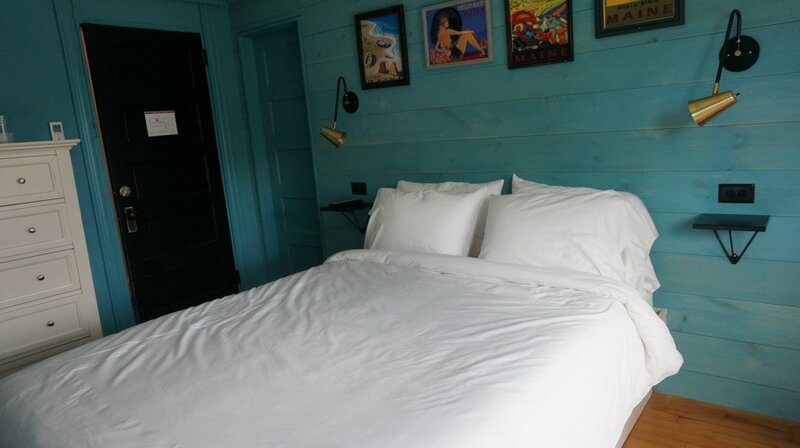 Everything from the food to the room decor, the surroundings all sound amazing!